The Mobvoi TicPods Free are Bluetooth In-Ears without any cable. They are visually similar to the new Apple Airpods, but are also designed for Android smartphones and offer numerous additional functions, such as volume control by swipe on one of the two in-ears, long press for the Siri or Google voice assistant and double tap for the next or previous title. In the following review on OCinside.de we will see how practicable these extraordinary in-ears are and how long the batteries last. In addition, we test the in-ear headset in the car, on the motorcycle and in the plane! Many thanks for the support to the manufacturer Mobvoi. 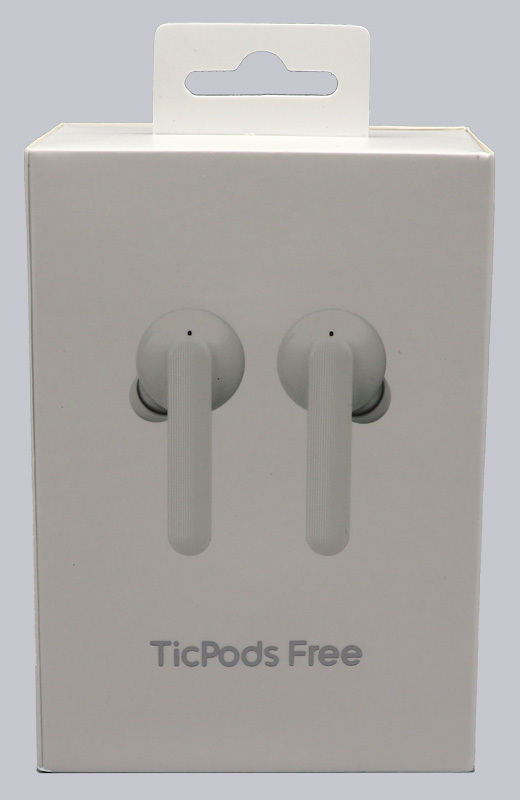 The Mobvoi TicPods Free In-Ears are available in white, blue and red and have at review date a price of approx. 129 Euro (02/2019). 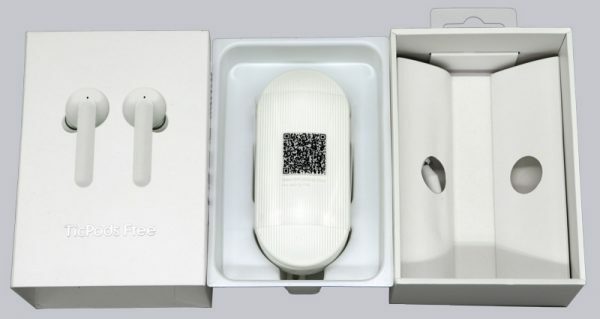 Here you can buy the Mobvoi TicPods Free. The in-ears reached us in an air cushion envelope, the packaging remained almost undamaged. 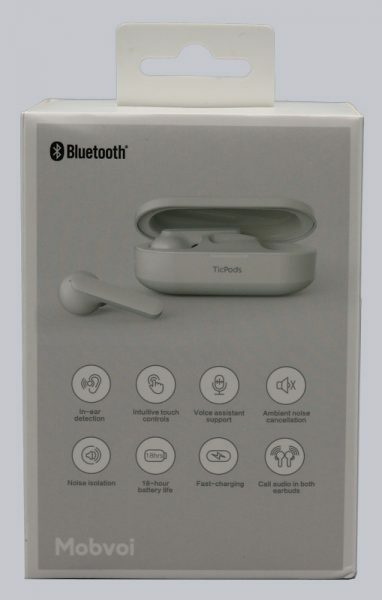 The cardboard was kept completely in white and provided with an imprint of the in-ears. The back of the carton already shows all important functions. The carton contains the loading box and the accessories underneath. As accessories you will find the charger cradle, a loop to secure the charger cradle, an USB type A and an USB type C charger cable as well as a slightly smaller pair of rubber attachments.